Well, the “Twelve Gifts of Christmas” post series is almost over. Technically, I could end it tonight, but I still have one more review to go. But that one is for tomorrow. 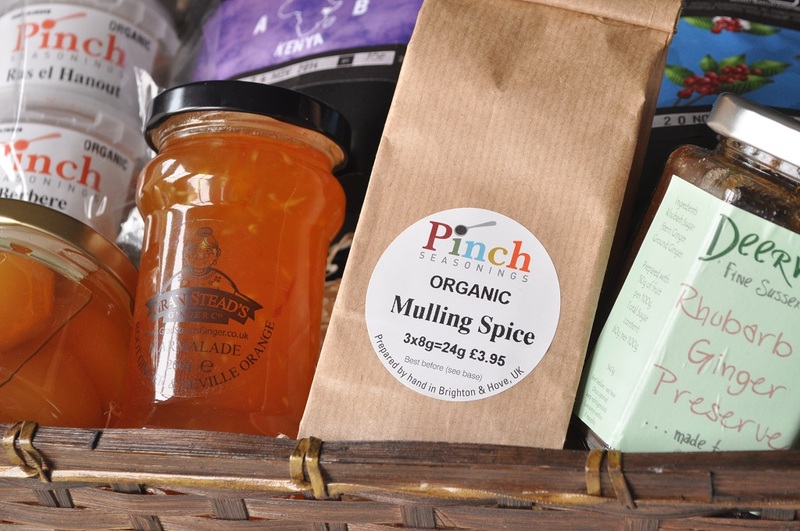 Today I’m reviewing another product from Pinch Seasonings, who donated all those lovely spice blends to my prize hamper. 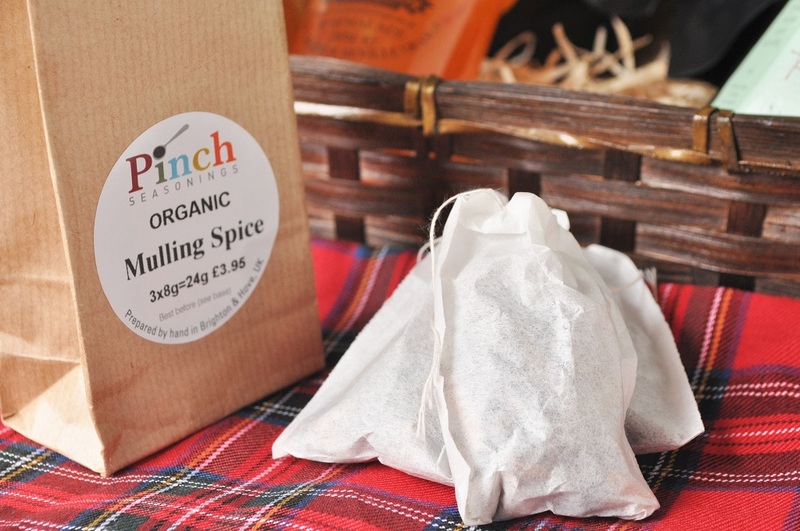 But they also included a packet of their mulled wine spice sachets. And since it is Twelfth Night and wassailing is a tradition, I thought this would be the perfect time to try them. 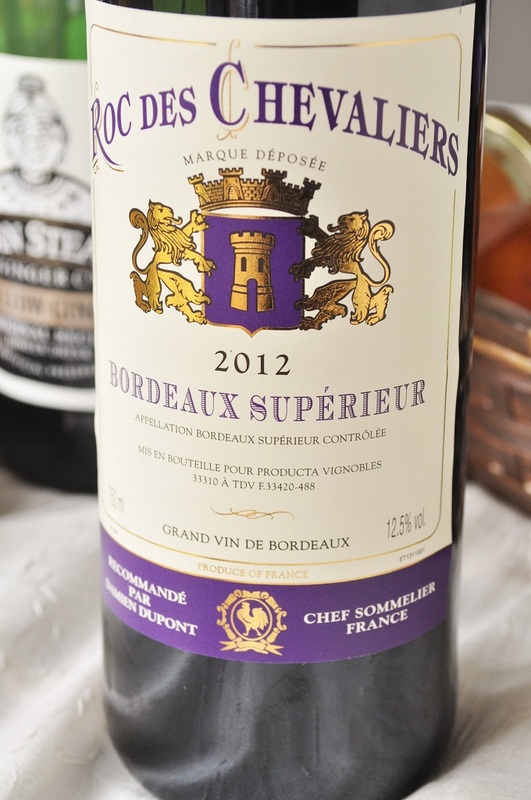 I also had a beautiful bottle of Bordeaux, a gift from a friend, that I was eager to uncork. 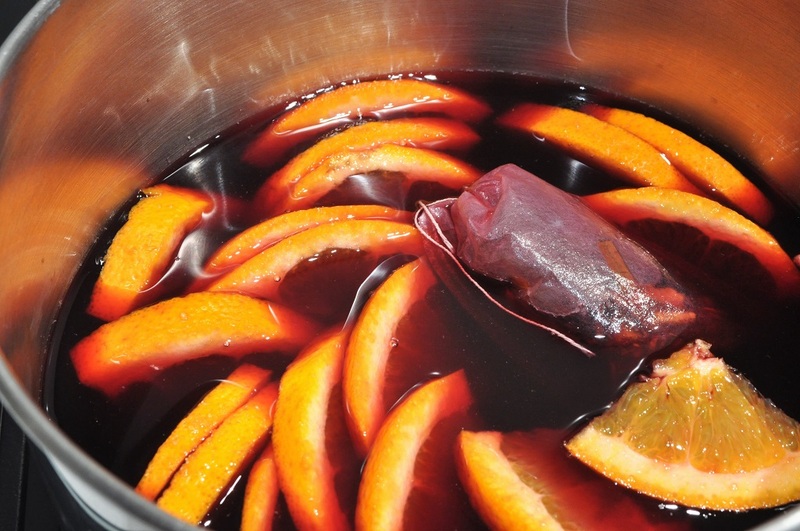 The instructions on the bag of sachets said to use one sachet per litre of wine, cider, or apple juice, add a sliced orange and small measurement of sugar, and then simmer for 20 minutes to blend the flavours. 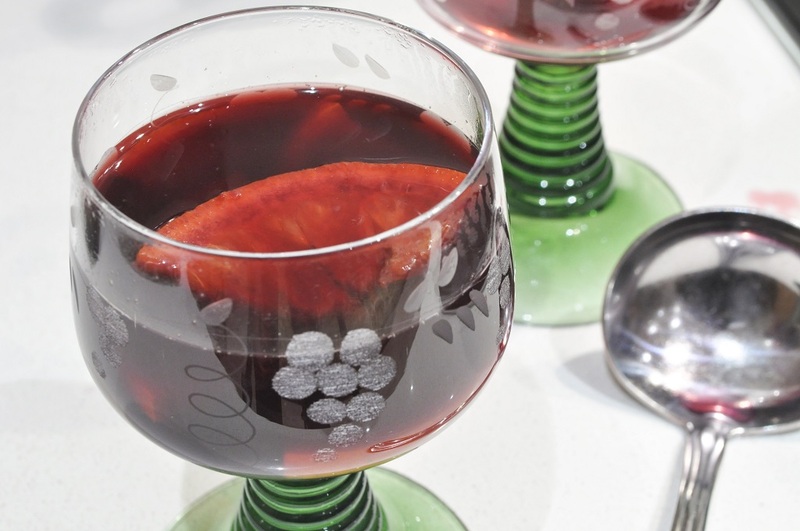 It is a quick and fuss-free way to prepare a delicious mulled wine. I hope that you, too, had a memorable Twelfth Night to close out the Christmas season (with something delicious to drink) and that you are looking forward as eagerly as I to the coming year. 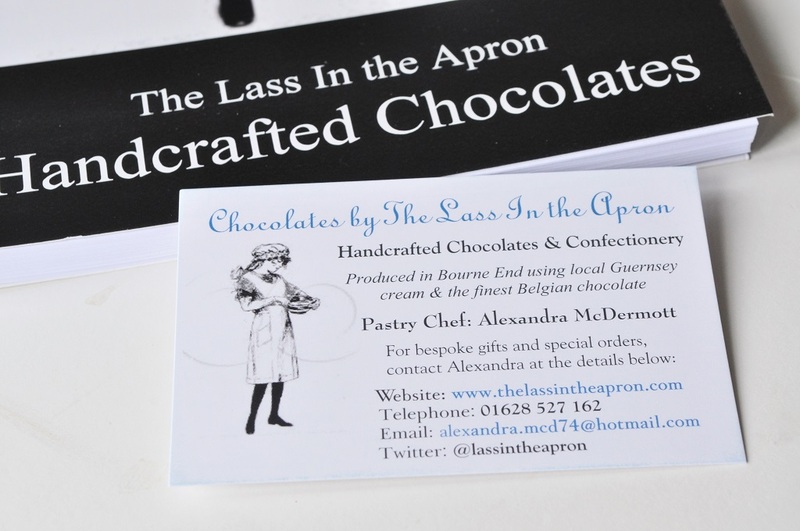 On that note, I would like to mention that I just got my new business cards for the chocolate business I’m starting up, and I’m so pleased with them. 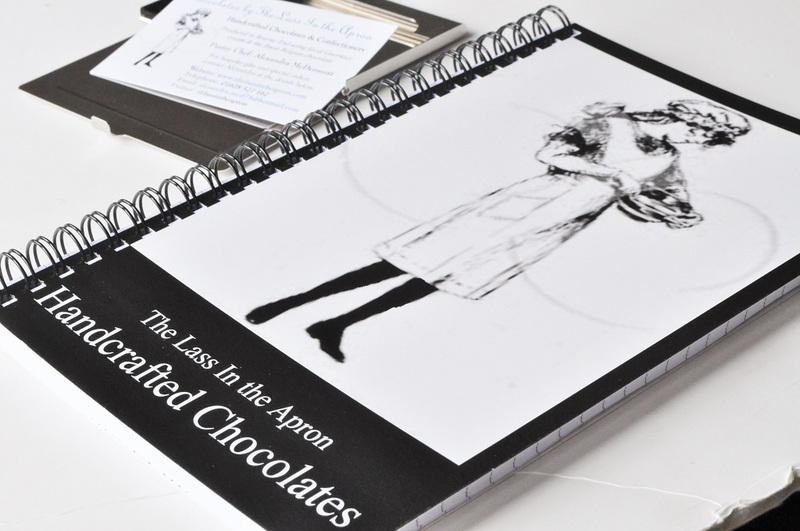 I also received a notebook (for all the millions of lists I make) personalized with my logo, and I can’t help looking over the empty, lined pages, wondering what delightful notes will fill it up in 2015. I love New Year’s, don’t you? So much anticipation for what’s to come, and so much fun to dream and plan . . . Combine all ingredients in a medium saucepan over high heat, and bring to a simmer. As soon as the mixture reaches the simmer, immediately lower the heat to keep it at a simmer. Continue to simmer for twenty minutes. Ladle into glasses and serve hot. Don’t remove the sachet while serving, as the flavours will continue to blend and improve if you leave it in.